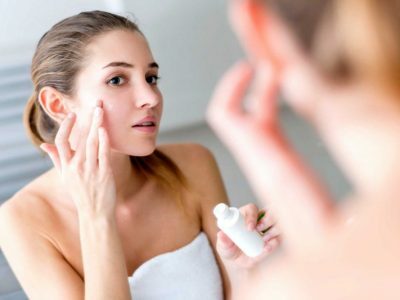 Whenever you visit a beauty care shop or stroll through a skincare aisle, one of the significant things you will notice is the big number of different skin care products available for both dry and oily skin. But what do you use if you have a combination of both oily and dry? In such a situation, your face may be oily on select areas such as the T-zone and drier on other places such as the cheeks. Combination skin can be very challenging to treat. The skin becomes drier or oilier depending on the product in use and the season. If you choose to use skincare products that deal with oily skin, your dry skin may get irritated and become even more dehydrated. If you opt to use a product rich with hydrating qualities, the pores in the oily skin area may clog up leading to the development of blackheads or even pimples. What you need to offer your skin is a moisturizer with the ability to control the oil produced by your skin in one area while also moisturizing other regions. It is essential that you find a lightweight and non-comedogenic moisturizer that will not clog your skin pores. If you have combination skin, one common way to solve your skin problem is making use of two different products where one is a moisturizing cream to help with the dry skin areas and a lightweight gel moisturizer to deal with the oily skin area. Even so, using two different products can be very inconveniencing. Therefore, you need to identify products that can deliver good results to the two types of skin. But what do you look out for in such a moisturizer? 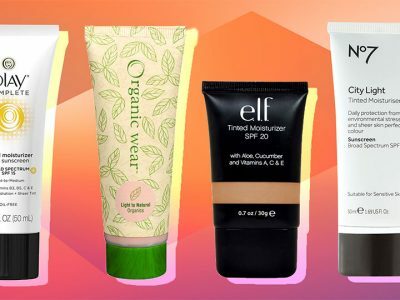 The moisturizer should be oil-free and lightweight. 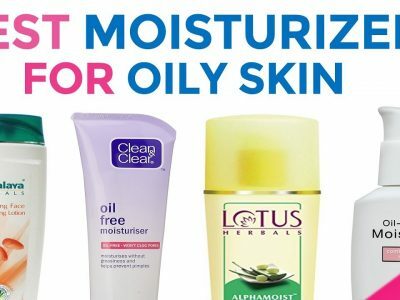 An oil-free formula may not provide dry skin with sufficient moisture, but it can offer it even to a small extent. It should also be non-comedogenic, meaning it should not clog the skin pores. If you are uncertain of the product to choose, go for products made for sensitive skin. Also, if you have acne on the surface as well, it is best to resort to spot treatment rather than using acne fighting products. It is mainly because the acne fighting products may force further drying of the skin. Consider making use of products with multi-tasking abilities such as providing anti-inflammatory properties or moisturizers with barrier repair abilities. 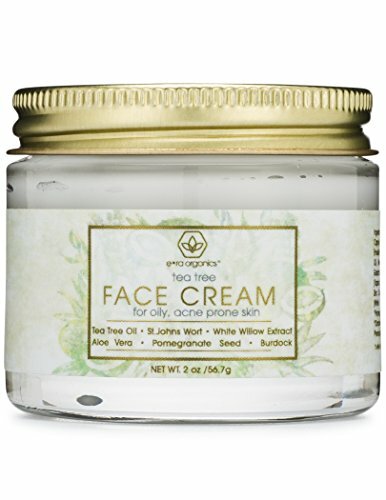 The Neutrogena Oil Free Moisture Glycerin Face Moisturizer & Neck Cream is a lightweight formula made with the ability to moisturize the dry areas of the skin as well as control the oily shine in other areas. It is dermatologist tested and moisturizes the dry skin just enough not to leave behind a greasy or shiny look. It has a unique micro-sponge system that absorbs the oil and controls the shine on the parts of the skin that are oily. The moisturizer is clinically tested to provide the surface with long-lasting hydration, keeping it smoother, softer and younger. The moisturizer as well meets broad spectrum protection from the sun and helps in preventing the premature signs of aging. The formula is non-comedogenic and hypoallergenic. It does not contain any oil, fragrance or alcohol. It leaves the skin with a natural matte that lasts throughout the day. The Garnier SkinActive Moisture Rescue Face Moisturizer is one product from the Garnier SkinActive brand that delivers deep hydration to the skin keeping the skin well hydrated, soft and fresh throughout the day. Garnier is a company that has been in the market since 1904 providing hair and skin solution from naturally inspired and derived ingredients. The Garnier SkinActive brand contains 96 percent of natural ingredients in all of its products. Its formula includes vitamin C & E and antioxidant Fruit water that helps to refresh and hydrate the skin throughout the day. 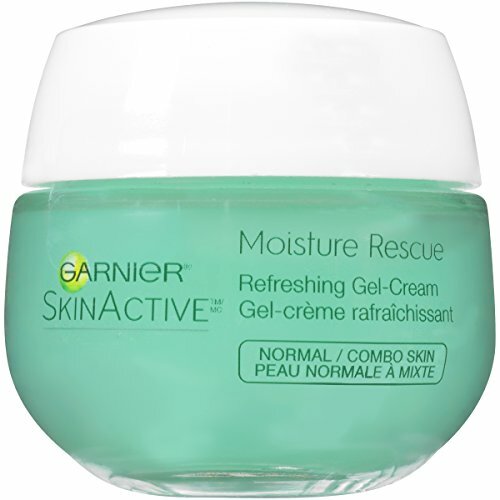 You can use the Garnier SkinActive Moisture Rescue Face Moisturizer on dry, oily and combination skin types. It instantly locks in moisture and blocks out the dryness of the skin. The formula is oil-free and lightweight. It protects the skin from external aggressors such as pollution and daily stress. It strengthens the skin moisture barrier and leaves the skin feeling healthier and softer. The Garnier SkinActive Ultra-Lift Anti-Aging Moisturizer & Serum is part of the Garnier SkinActive brand that works to moisturize your skin while at the same time helping to reduce the signs of aging. The Formula is a combination of a serum and a moisturizer which absorbs into the skin very fast and helps in reducing wrinkles with results visible within two weeks. The formula is made up of rice peptides, an extract from grain rich in anionic and cationic amino-acids and pre-retinol, a type of vitamin A that help in hydrating and keeping the skin moisturized. It also contains an extract of the pits of shea treat fruits known as Butyrospermum Parkii butter or Shea butter that acts as an emollient keeping the skin smooth and well hydrated. The formula is dermatologist tested to ensure that it is safe for use. It does not clog the skin pores and is allergy tested. 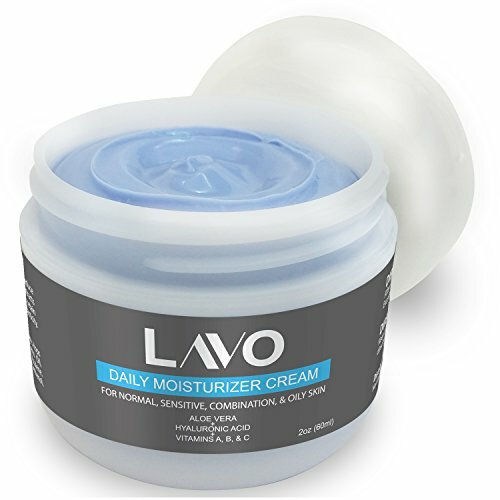 The moisturizer is gentle on the skin and does not leave behind a greasy feel. The Nature Republic Super Aqua Max Combination Watery Cream is a high performing hydrating cream that works by keeping the skin well hydrated and moisturized with the help of complex deep sea minerals that come from maritime plants with extracts from Chlorella, Seaweed, water-soluble collagen, and plankton. It has hyaluronic acid that helps in strengthening the skin’s ability to protect itself against external aggressors and possible dehydration. The formula comes in three colors each targeting three different types of surfaces. The pink color is for use on dry skin, the blue color is for oily skin, and the green color is for a combination skin type. It has a watery consistency that easily spreads and absorbs quickly onto the skin without leaving any greasy feel. The cream comes with a pleasant floral scent. It sells at a very reasonable price when you compare it to the expensive cosmetic brands in the market. The Clinique Dramatically Different Moisturizing Gel Unisex is an oil-free facial moisturizer that works by softening and improving the skin leaving it well hydrated, healthy and glowing. The formula is a creation of the Clinique dermatologists and works on oily and combination skins. It spreads easily and absorbs quickly to the skin surface. It works best when used as part of the Clinique’s 3-step skin care system alongside the company’s cream and lotion+. It is best used twice in a day once in the morning and another time at night. You can apply it on the face and the neck region. The formula does not contain any sulfates, phthalates, parabens, alcohol, mineral oil, SLS, talc, and fragrance. It uses only vegan ingredients and does not clog the pores. The Olay Complete Lotion All Day Face Moisturizer is a lightweight formula made to protect the skin against skin aging effects brought about by the harmful rays of the sun. It comes with an all-day coverage SPF of 15 that blocks both UVA and UVB rays from reaching the skin. The lightweight formula is rich in antioxidants that help with conditioning the skin surface and with vitamins B3, C, and E to assist with maintaining the skin to be healthy. It makes use of a patented SolaSheer Technology that helps in keeping the skin full of hydration and safe from the sun. Unlike many other moisturizers with SPF, the Olay Complete Lotion All Day Face Moisturizer does not leave the skin feeling greasy. It is oil-free, non-comedogenic and does not contain any aluminum. It leaves the surface with a healthy glow. The Pond’s Face Bio Hydratante moisturizer is a light hydrating cream that is made for use on all the skin types from normal to oily skin. The facial cream provides the face with enough hydration leaving the skin feeling fresh and smooth. Its formula ensures that it does not clog the skin pores. The moisturizers contain a cotton extract that is well known to help the skin in maintaining moisture. It is dermatologist tested for use on the face and neck. 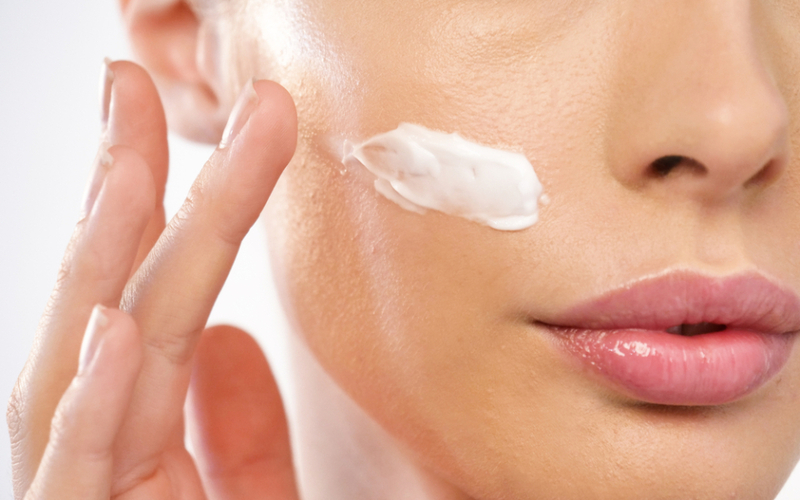 For best results, apply the moisturizer twice everyday once in the morning and next at night. 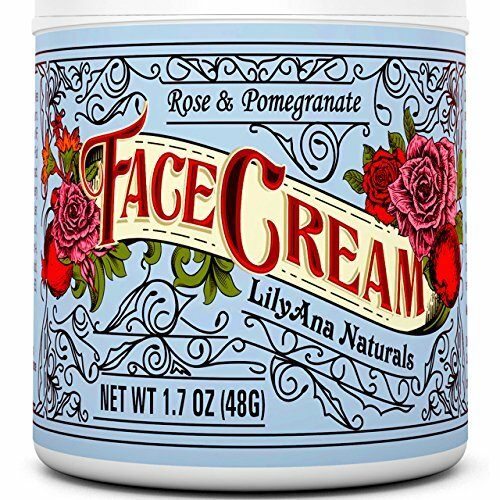 The moisturizer spreads smoothly over the face and comes with a mild but fresh scent. It does not contain any oils and is non-comedogenic. The AHAVA Essential Day Moisturizer features an Osmoter complex, an exclusive blend of nutrients that originate from the waters of the Dead Sea that include magnesium, calcium, and potassium. The formula works to give you a smooth and soft complexion with a healthy and youthful glow. It contains aloe vera and Vitamin E that helps to soothe and protect the skin from environmental aggressors. The formula is lightweight allowing for everyday use. You can use it on any skin including sensitive skin. It flows gently onto the surface and absorbs faster without leaving any residue but a shine-free complexion that appears to be perfect even without makeup. It nourishes the skin and keeps it supple without any greasy feeling. It helps to optimize cell metabolism in the skin and improve its protection against UV rays from the sun. The formula is hypoallergenic and made from vegan ingredients. It does not contain any parabens or skin-irritating chemicals. 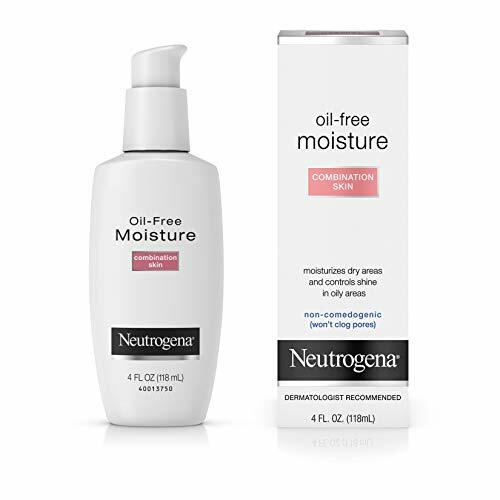 The Neutrogena Oil-Free Moisture is a lightweight formula that addresses the dry areas of the skin while at the same time controlling the oily and shiny areas of your face. The moisturizer makes use of a patented oil-absorbing microsponge system that helps in managing the number of oils produced in the t-zone or any area that the skin is oily. It is made up of glycerin that helps in moisturizing the skin and cetyl ricinoleate, Cyclomethicone and cetyl octanoate with are emollients responsible in smoothening and softening the skin. The moisturizer is lightweight and flows very smoothly on the surface. Its watery consistency allows it to apply uniformly. It absorbs very fast into the skin giving the face a soothing feel. The formula is non-comedogenic and allergy tested. It does not contain any fragrance, oil or alcohol. The Pevonia Botanica Balancing Combination Skin Cream is a product of the Pevonia Botanica, a well-known line of spa care products made for both men and women using only the best marine and botanical ingredients that provide exceptional skin results that are instant and visible. All the company’s products work towards the goal of making the skin appear brighter, younger and healthier. The Moisturizer works to control the oiliness of the skin and reduce the appearance of skin pores, especially on the T-zone. It as well provides the skin surface with the necessary nourishment needed to stay soft and healthy. It contains lemongrass, aloe, and arnica that help in delivering hydration and balancing the skin complexion. It also contains cucumber extracts that help to soothe the skin and keep it soft and healthy. The Mary Kay TimeWise Age-Fighting Moisturizer combination is a product from the Mary Kay Ash Company that has been in the market since 1963. The moisturizer is made to work on the reduction of fine lines and wrinkles. It contains antioxidants whose purpose is to fight free radicals that are brought about by the UV rays from the sun. The moisturizer nourishes and moisturizes the skin for as long as 10 hours allowing you to reduce the number of times you would require to reapply. Since it works as an age-defying cream and a moisturizer, it removes the need to purchase any other age-defying product. Since it can last for up to 10 hours, apply the product only twice in a day, once in the morning and later in the evening. The ingredients that make up the moisturizer allows it to act as a night cream and help in the healing process of your skin as you sleep. The bareMinerals Smart Combination Lightweight Emulsion is a moisturizing formula that uses an intuitive mineral moisture technology to replenish combination and normal skin leaving it feeling fresh and smooth. The emulsion formula is rich in ceramides and peptides that help in retaining the skin moisture and preventing the appearance of fine lines. The moisturizer comes in a package that is easy to dispense, and its formula flows freely on the skin surface and absorbs very fast without leaving a greasy feel. It provides the skin with lightweight water-binding agents that help to keep the skin soft and smooth. The formula does not contain any parabens, sulfates and irritating chemicals. It is also not tested on animals. The Florencia Sage & Citrus Lightweight Moisturizer is a lightweight formula that can work on any skin type including normal, combination and oily to provide the skin with hydrating properties. It makes use of natural essential oils and extracts from botanicals such as grapefruit, sage and the watercress acquiring a blend of vitamins and antioxidants that help in brightening, clarifying the skin and improving its elasticity. The formula is water based allowing it to smoothly flow on the skin and absorb very fast giving the skin surface a radiant and healthy look. The moisturizer is made in the USA and does not contain any artificial fragrances, oils and is not tested on animals. It provides the skin with moisture and does not leave behind a greasy feel to the surface. 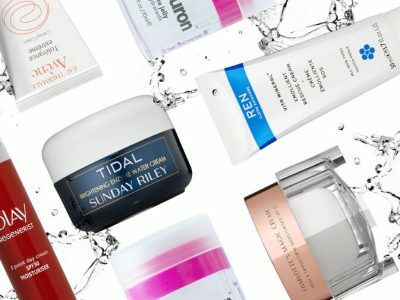 When looking for a moisturizer for combination skin, you want to find a product that can balance the skin reaction and make it appear uniform. Therefore, always look for one whose description denotes it to be oil-free. The moisturizers should also be lightweight and not focus only on hydrating but offering the skin with other beneficial qualities. Combination skin is also associated with developing large pores in some regions of the surface. Whenever you use heavy moisturizers, you may end up blocking the pores and leading to the development of blackheads. 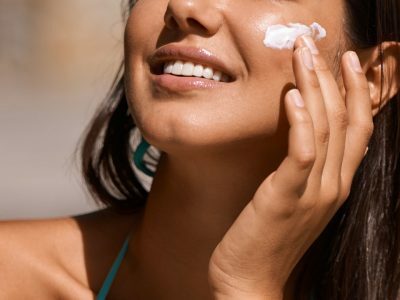 Since taking care of the skin is not only about using the right moisturizer, be sure to have a good and clear skincare routine, from washing, cleansing, to moisturizing, and following it up with sunscreen when out in the sun. 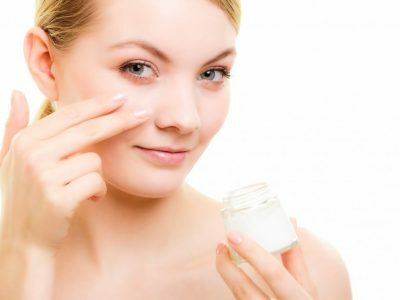 Cetyl octanoate: https://cosmeticsinfo.org/ingredient/cetearyl-ethylhexanoate-0, Seen 06/04/2019.